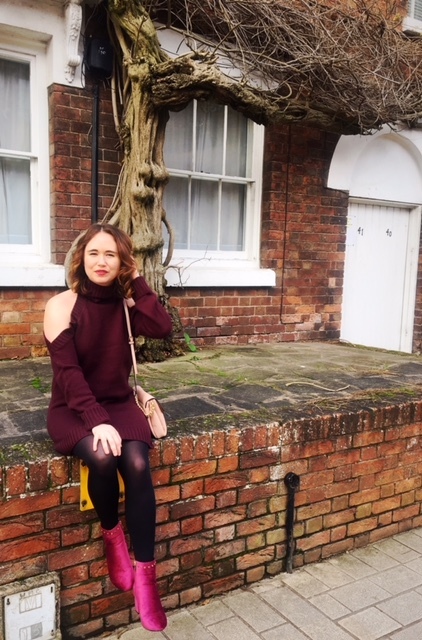 I picked out this sweater dress (£33) from Tobi because the burgundy/wine colour is super hot right now and the cut out shoulders and roll neck make this knitwear piece ultra stylish. I could easily wear this in the day or at night with just a simple swap of accessories and it's super warm to wear in all weathers, as long as you cover up the shoulders. 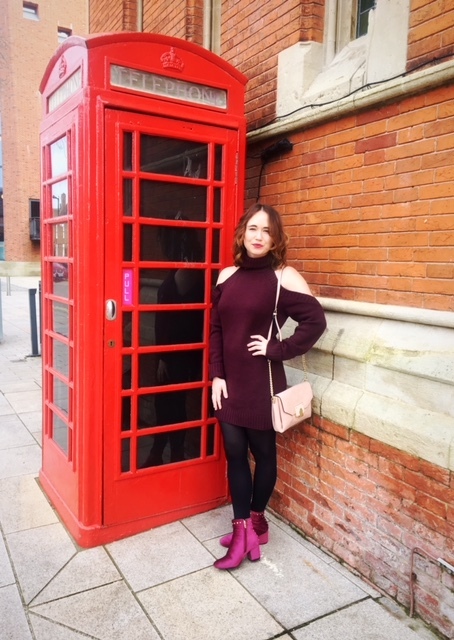 For this weekend look, I styled the sweater dress with lots of pink to compliment the wine colour. 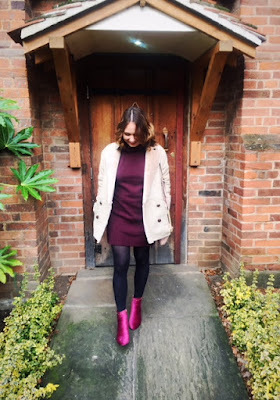 These pink boots from Nasty Gal are super glam and were just £12, the pink bag from TK Maxx was also another bargain and my beige La Redoute coat is super cosy for winter. 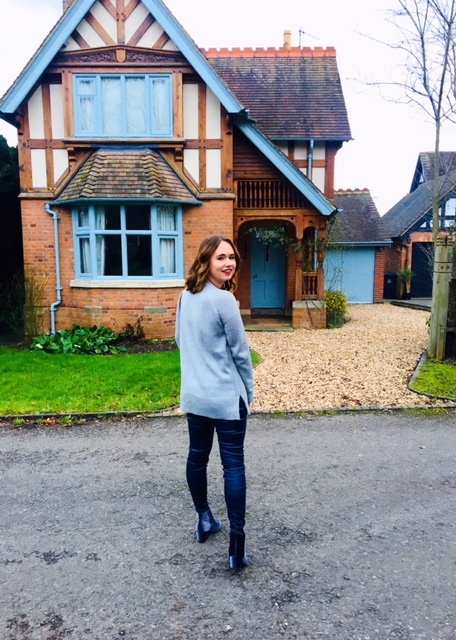 The second piece of knitwear I was gifted from Tobi, is this lace up sweater (£21) with a criss cross neckline which can be tied tighter or looser depending on what look you are going for or time of day. 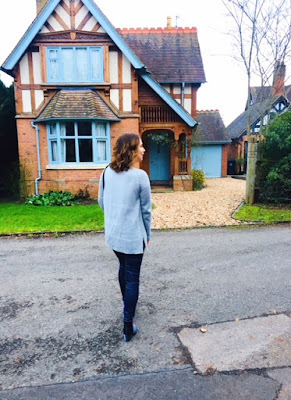 The vintage blue colour is one of my favourites as it goes perfectly with lots of denim jeans whilst it having a loose fit mean that it's super comfy. 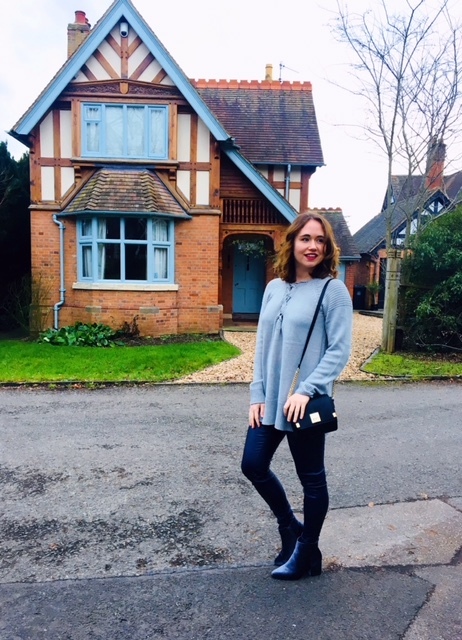 I paired the jumper with navy leather trousers (£12) from Matalan, grey velvet boots (£6) from Primark and a cute black bag from New Look. 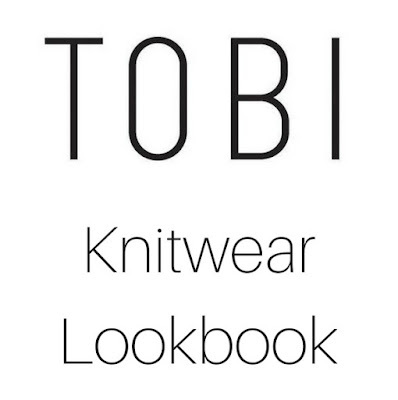 Which is your favourite knitwear look? I'm loving the colour of the red / burgundy dress it's perfect to add a touch of colour now it's so gloomy. 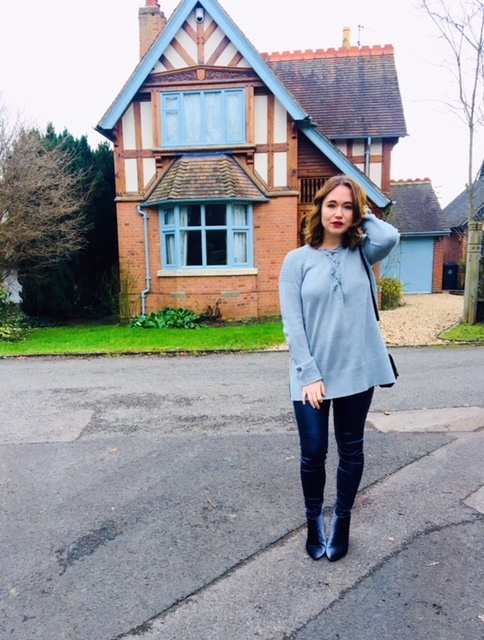 Perfect with a cute pair of ankle boots. 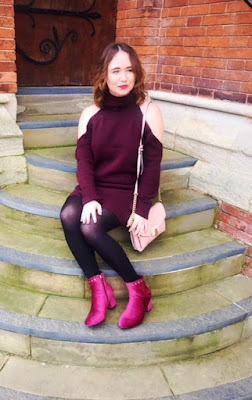 You're talking about knitwear and I'm just in awe of the boots! Sorry, but they are fabulous. 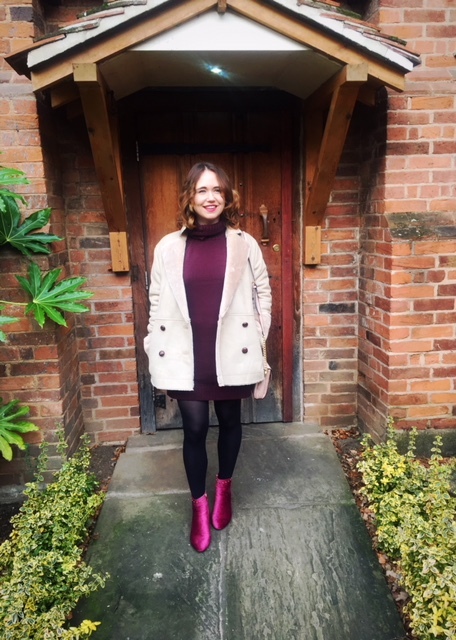 But back on topic, I do love the colour of the wine sweater dress. 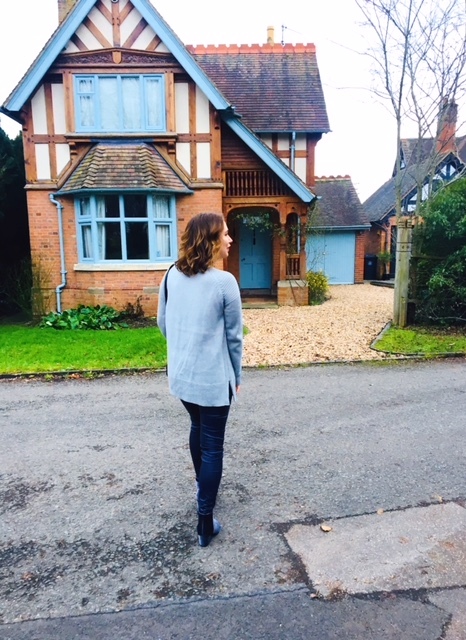 An overall great look (particularly with those boots!). I'm obsessed with knitwear too at the moment. It makes you feel so cozy when the weather is so cold. I can't decide which of the two looks is my favourite, I love the colour of the wine jumper dress but the lace up neck line is pretty on the blue jumper. 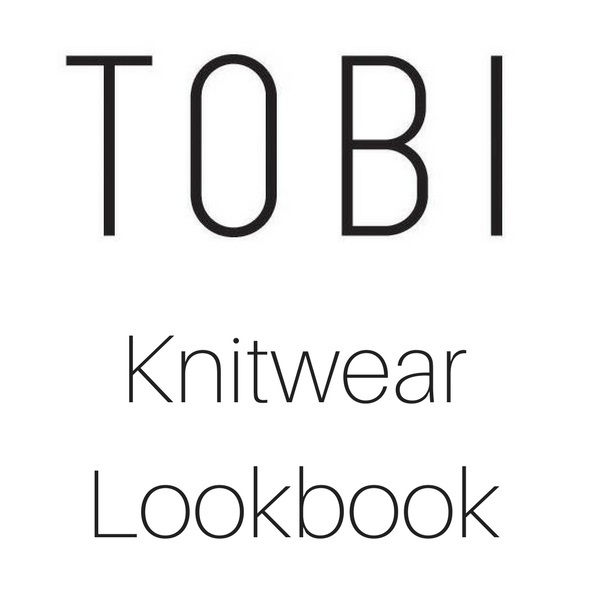 The Tobi Lace Up Sweater is my favourite. 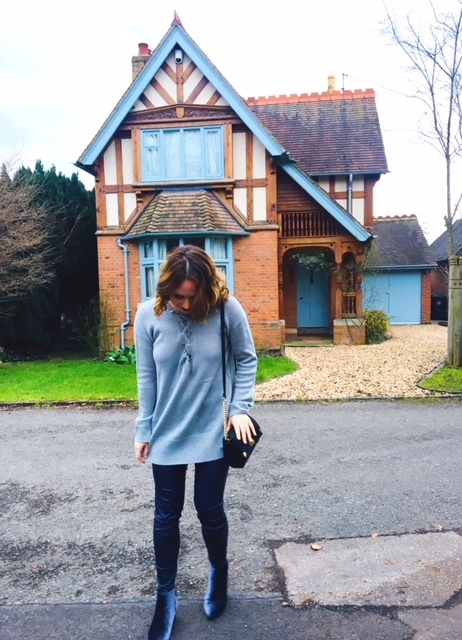 I love that you could wear it fully laced up in winter and a little looser in spring.